Well, it’s been four days since the season ended. It’s been rough, that’s for sure. Especially since everyone who thought that the Padres were not going anywhere this season are back in full force saying, I told you so! It’s extremely frustrating, but what can you do. The only consolement I’m getting is that I believed all season and I didn’t give up. I was right there with my boys the whole time, and man they had an incredible season. As the offseason goes on, I’ll be writing some season-rememberance stuff, but right now I kind of want to review my personal season of blogging. Let me tell you, this year has been absolutely amazing. I didn’t blog as consistently as I have in years past, but this blog has really had a great year. In 2009, I was around the 20s in the Latest Leader list. This season I jumped up to number 10 and number 11. That’s where I was for most of the year until I jumped up to #6 in August and now, I was #5 in the top fan blogs list. I’m soooo excited!!! If you’ve been reading this blog for a while, you know that my all-time favorite baseball player is Kevin Kouzmanoff, whose number is 5. I’ve always wanted to be #5 on the list so that I could do a dedication to him and I’m soo excited that it’s finally happened!! Since there’s a lot of recaps going around, I’m going to review Kouz’s season. I didn’t really talk about him much this season because I was so focused on the Padres’ first-place dominance, but I think it’ll be cool to see how he did after he was so sadly shipped away from the Padres. 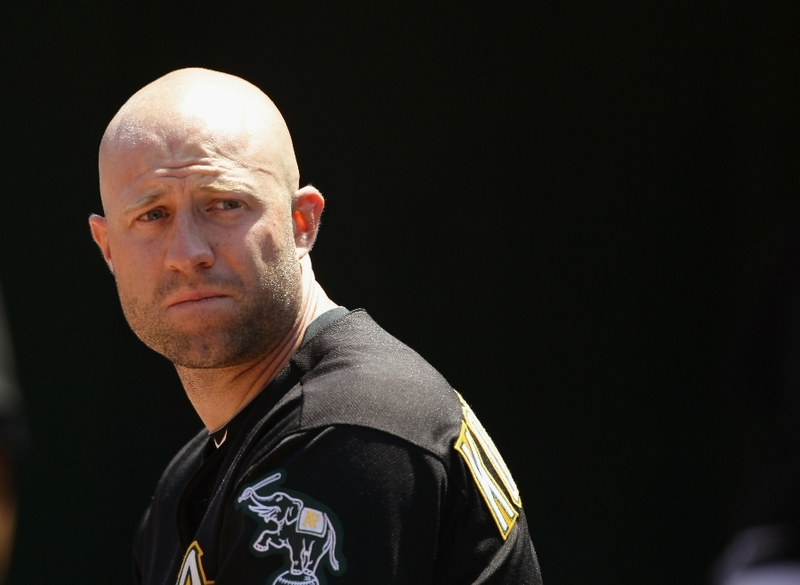 Kouz was traded to the Oakland A’s on January 16th, 2010, in exchange for Scott Hairston and Aaron Cunningham. He hit .247 with 16 homers and 71 RBIs. He played in 143 games, and of course, his back acted up near the end of the season and he was out for a few weeks. His fielding stats, though, are no where near as impressive as last year. Remember that when he had three errors all season and a .990 fielding percentage and he didn’t get a Gold Glove? That was so sad. Man. But anyways, he had 12 errors this year, and a .968 fielding percentage. So, not too bad, but not as great as last year. I missed you a lot this season, Kouz. Definitely not the same without you, and your trade even effected my fanhood just a little. I’m glad you had a great season with the A’s, and I hope that someday you’ll be able to play in San Diego again. Love you!!!!! Thank you guys sooo much for your great support. Thank you for getting me to #5. This blog would be meaningless if no one read it, so thank you so much for reading. I hope you enjoy reading it as much as I enjoy putting it together. You guys are amazing!!!! GO PADRES!!! GO KEVIN KOUZMANOFF!!! GO #5!!!! First off, I am super pumped and excited about the huge feature on the front page of MLBlogs for me and my blog. It was after the game yesterday afternoon when I randomly checked the front page, and it totally shocked me. And I mean shocked. I’ve been the featured blog before, but this was just amazing! Thanks so much to all you guys for reading and supporting me as I blog about these tough Padres. You guys are amazing. 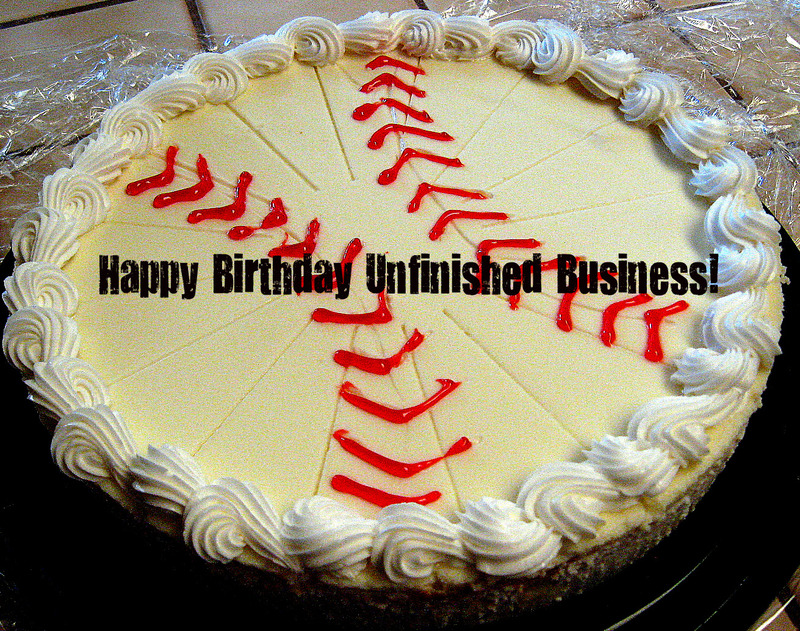 I’m just thankful that God’s given me the ability to write and that I can be in this great community of baseball fans. Thank you! Yesterday, the Padres did not do too well. I had the radio on for almost the entire game, but I really didn’t catch much of it mostly because I was chatting with Jeff Moorad (more on that later). Kevin Correia started, giving up three runs in five innings. The big blast was a two-run homer to Chris Iannetta. The bullpen wasn’t that great. Cla Meredith gave up three runs. Arturo Lopez made his major league debut and didn’t get an out. Luis Perdomo and Edwin Moreno pitched well, but the damage was done by then. On the offensive side, all you can say is Aaron Cook and Adrian Gonzalez. Cook absolutely shut us down. He basically didn’t allow anything until the seventh. Adrian hit a solo homer, then Henry Blanco hit a two-runner later in the inning. In the eighth, Adrian hit his second homer of the day, this time a two-run shot. We got within two runs, but we lost 7-5. With his eighth and ninth homers of the season yesterday, Adrian broke the Padres record for homers in April. But that doesn’t matter to him, since they didn’t win the game. And yes, we were wearing the sand uniforms. I tried to warn them!! Those things need to be burned. Incinerated. Pulverized. Destroyed!! Yesterday afternoon, Jeff Moorad particiapated in an online chat with a bunch of fans. I was one of them. I submitted nine questions and five of them got answered, so that was pretty cool. Jeff talked with the fans for an hour, which surprised me. Last time I did a chat, it was with Chase Headley and he did only half an hour. peavy44fan: Do you think the Padres could win the World Series? j_moorad: I won’t rest until we do. But now we are going to play the division-leading Dodgers for four games at Dodger Stadium. Maybe we can overtake them! Haha. That would be pretty cool, though. We have to get a series split at least. Tonight Josh Geer is pitching against James McDonald. The game yesterday wasn’t the best. We lost to the Angels 10-5. Ugh. Cha Seung Baek gave up nine runs. I don’t think we want him as the third starter. At least I certainly don’t! Adrian Gonzalez got his first homer of the spring, so that was good. But yeah. Just another spring loss. What I really want to write about is a book I just read, called Bases Loaded: The Inside Story of the Steroid Era in Baseball by the Central Figure in the Mitchell Report by Kirk Radomski. The only reason I picked up this book was because it was new in the baseball section at my library, and it’s really rare to get a new baseball book in there. But it also looked interesting, and I decided that I needed to be better informed about this steroid problem that is sweeping baseball. I have to admit that I haven’t really been interested in the whole Mitchell Report and all the hearings with Rodger Clemens and all that. I’m just a fan, and all I really care about is watching my Padres play some good baseball. If it was one of my players being accused like that, I would definitely be more interested, but it’s not like that. This book was captivating. I read it in about 5-6 hours over the course of two days. I am a pretty fast reader, but that’s still impressive. Kirk Radomski was a batboy and then a clubhouse attendant for the New York Mets. He was really into bodybuilding and nutrition, so when the players started asking questions about their diets and what vitamins they should be taking and stuff, he would help them. It was natural to him to do whatever the players asked. When some of them started getting interested in steroids, he would get some for them. To him, it was just like getting some vitamins or running an errand for them. Just getting steroids for a player turned into a huge operation of supplying the majority of baseball with steroids and ultimately human growth hormone. When he was finally caught, he was the first breakthrough for the people working on the Mitchell Report. He supplied them with thousands of checks from the players and trainers who had bought from him. He also supplied them with a huge list of names. This book is fascinating. What’s incredible to me is that he was able to supply players with juice for so long and nobody ever stopped him. With great storytelling, this book is a breeze to read through. At least, it was for me. I don’t think I’ll ever be able to look at baseball the same. I hate to think that any of my Padres have been or are taking juice, but I’m sure it’s happening. This guy is brilliant in terms of nutrition and the effect of steriods and HGH. He can tell when a player is juicing, and even what he is using by just looking at him. It’s pretty incredible. This book isn’t for all baseball fans, but if you’re interested in the “steroid era”, I would highly recommend it. But if you’re not really that interested, there are better baseball books to read. I am very excited that the Brewer’s A-Z ballpark guide is FINALLY up. I’ve been checking it everyday for days, and now it’s finally here! The reason I wanted it so badly was so I could get the Brewer’s fanmail address and send some of my tributes to Trevor. So, that will be fun to work on! I doubt that he will reply, but maybe he will read them. I am also REALLY excited about the Fan Day!! Naturally, I’ve been thinking, planning, and daydreaming about it for the last 24 hours. It’s going to be sooooo much fun!! Today the Padres are playing the Indians. Wow, how many times have we played the Indians? I think this is the third time this spring!! Kevin Correia will be starting. Heath Bell will also pitch. Let’s see how the rotation candidate will do today. Maybe he won’t give up that many runs!! Dad, as you know, the Padres are having their Fan Day on Sunday, April 5, 2009 from noon to 4pm. As you also know, I would really really really like to go. But you have seemed kind of hesitant in making a decision about us going, so I decided to help convince you. Wasn’t last year so much fun? We got to see the clubhouse, the dugout, and we even got to walk on the field. You don’t get that opportunity every day! Let me start off by reminding you that last year we had to pay $5 per ticket. This time, there is no fee to get in, as in, it’s free! Of course, you say that it’s not really free, because we have to pay for gas and parking and time. But just think of the $5 you are saving! If we had to pay to get in, it would be a much more expensive trip! And yes, of course the Fan Fest will be trying to wrestle money from us in other ways. We can eat before so we don’t have to buy any food. And we don’t even have to go into the Padres’ Annual Garage Sale with game-used jerseys and batting helmets, even though the proceeds benefit the Padres Foundation for Children. I have enough Padres shirts. So, we can avoid those “tourist traps” at all costs. This year, we would get to watch a special team workout. The players will be getting in last-minute shape for Opening Day, which will be the next day. I mean, how often do you get a chance to watch the players workout? Hey – maybe you can get some ideas to help condition my brothers better for baseball this year! How long has it been since I was at the ballpark? Let’s see…about seven months! After that long, hard offseason, I think I need to get out the ballpark, see the new players on this team, and talk with other baseball fans. It’s been so long since I’ve been out to the ballpark, and I think I need to get out there to renew my hope for our Padres. I’ve been sitting here all offseason blogging about these Padres. I think it’s time to go to the scene, to get the scoop live. Plus, I need to interact with other baseball fans. Another Padres blogger here, Hyun Young, is going. It would be really neat to meet her and talk about our Padres! And Dad, if you say no, I’ll be OK with that. Of course, I will be disappointed, and maybe a little upset, but whatever you say goes. I know the timing is a little inconvenient because it’s a Sunday and the first one of the month at that. I understand if you feel that we should be sticking around at church to help out. Of course, we could get there a little late. We don’t need to be there right at 12. But if you say no, let’s just plan early for next year’s fan fest. It just seem like a waste of a great opportunity. I mean, autographs, getting close to the players, having fun with other Padres fans, heading out to Petco Park. FREE! It would be so much fun! But as I said, it’s not the end of the world of you say no. Oh, and Dad – the Fan Day is in two weeks. We don’t have much time left to decide! UPDATE: Be sure to vote for me in Max Madness! Thank you so much! We tried. I mean, the offense was great. But once again, in a trend that we’ve been seeing all week, the hitting just can’t keep up with the pitching. Cha Seung Baek got a five-run lead before he even took the mound. For my Padres, that’s great! It’s always good to get a big lead early. But the pitching just can’t keep those runs in check. Baek went 4.1 innings, giving up six runs on eight hits. The Padres then sent Mike DeMark to the mound. I have never heard of this guy. I think he’s with Single-A Lake Elsinore. I don’t know why the Padres even had him in camp. This was DeMark’s first time facing major league batters, so maybe we can forgive him. But he gave up four runs. Ivan Nova, Cla Meredith, and Scott Patterson then had a scoreless inning each. But if DeMark hadn’t pitched, the score would have been 8-6 Padres. I mean, some other pitcher might have gone in who gave up even more runs, but I’m just saying. Oh well. I am pleased with the three guys who had scoreless innings, but Baek not so much. He has not been doing well this spring. I don’t want him in my rotation if he’s going to pitch like this! We hit really well. As I mentioned, we got five runs in the top of the first. Catcher Eliezer Alfonso had two hits and two errors. Cliff Floyd went three-for-three. I am really excited about having Floyd off the bench. I think he will do very well for us. Adrian Gonzalez, playing for the first time since he got back from the WBC, had two hits! Jody Gerut and Luis Rodriguez also had two hits each. Our hitters are ready. That much is obvious. And I think the offense will be a lot better than it was last year. It’s the pitching that’s going to kill us this season. 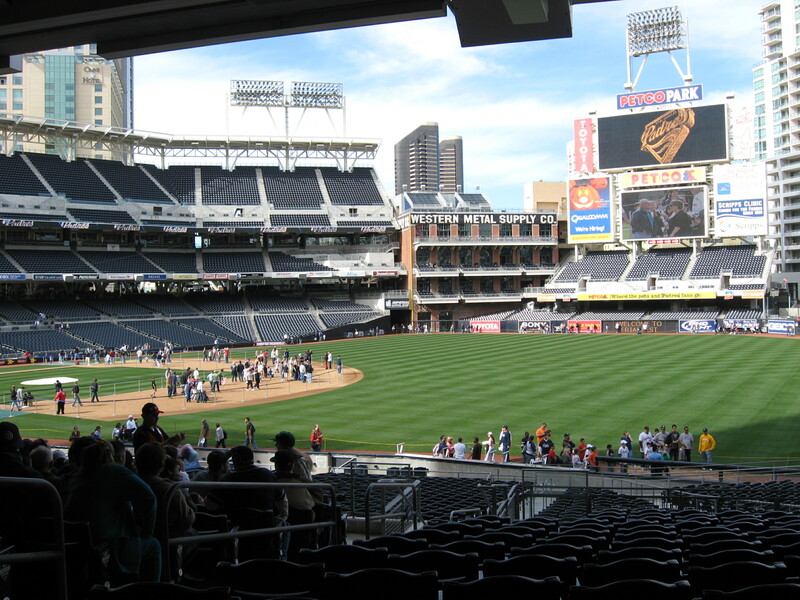 Still no word if I can go to the Padres Fan Day, but I had a dream last night that I was going. It’s in two weeks!! Jake Peavy is starting the USA’s game against Japan on Sunday. I really hope he does well and doesn’t hurt himself. It’s going to be a great game!